Preheat oven to 350 degrees. Combine sauce ingredients in a small saucepan. Bring to a boil over MEDIUM heat; reduce heat cook and stir over LOW heat 5 minutes or until hot. Set aside to cool. Place sausage and ground beef in a large bowl. Add 2 tablespoons of sauce; mix lightly. Set aside. Cool and stir onion and carrot in olive oil over MEDIUM heat 5 to 8 minutes or until tender. Add garlic; cook and stir 1 minute. Set aside to cool. Add vegetables, breadcrumbs, milk, egg, thyme and salt and pepper to taste meat mixture; mix lightly. Lightly pat mixture into a foiled-lined, greased 9x5 inch loaf pan. Top with 3 tablespoons of sauce. Bake 60 to 75 minutes or until internal temperature reaches 160 degrees. Spoon additional sauce over meatloaf during last 25 minutes, if desired. 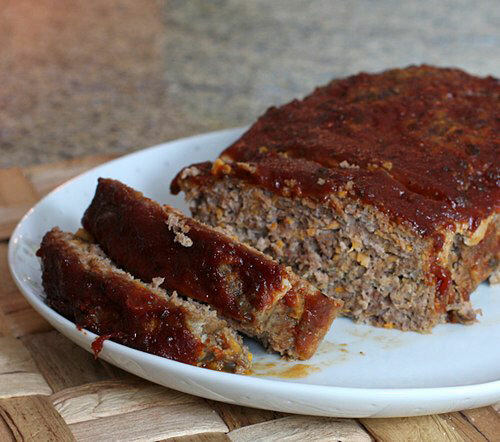 Let meatloaf stand 10 minutes before slicing. Serve with remaining sauce. Personally, we think you can’t go wrong just cooking up our sausage in a pan with eggs and hot biscuits. 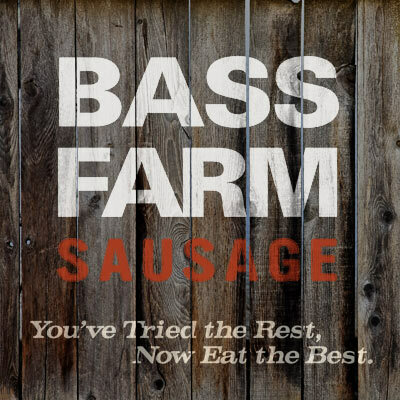 But over the years, some inspired friends and loyal customers have crafted new notions for Bass Farm products. And since we’re all about fresh, we wanted to show you some of these fresh recipes. Hope you enjoy. And write us if you’ve got any inspiring concoctions of your own. We’d much appreciate it.